Joe Kinsella, a partner in Carmody Torrance Sandak & Hennessey’s Business Services Group and Real Estate Group, has extensive experience advising clients in all aspects of business transactions. 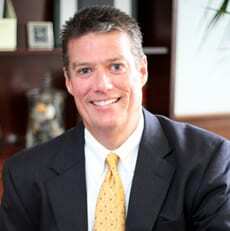 In thirty-four years of practice, Joe has developed a keen business acumen, and has become a trusted advisor to institutional, governmental and private clients in the areas of commercial, real estate and equipment/lease financing, loan workout and creditors’ rights, asset and stock sales and acquisitions, tax exempt bond financing, and general corporate and commercial law. Joe understands the business aspects of a transaction and the client’s objectives, and works closely with the client to achieve those objectives in a timely and cost-effective manner. Joe has extensive experience representing banks and other financial institutions and governmental authorities in all types of commercial and real estate financing transactions, as well as assisting clients in loan and debt collection matters, including bankruptcy proceedings. Joe also routinely represents business clients in acquisitions and sales of business assets, stock and real estate and in related financings. Over the last fourteen years, Joe has represented a regional utility company in the expansion of its electrical and gas transmission and distribution infrastructure. Through this representation, Joe has developed extensive experience in construction law, including preparing, negotiating and enforcing complex contracts for construction, construction management, equipment procurement and consulting services.